We are thrilled to announce the following two teams of horses to race for Hot To Trot this summer with both teams crammed full of potential! ‘HotToTrot1’ features four choicely-bred two-year-old’s (including Hand On My Heart, a half-sister to Heartache/Heartwarming) alongside two interesting three-year-old’s in Mirabai/Itizzit. ‘2HotToTrot’ includes the very exciting pair of Heartwarming and Kurious, both of whom won won Sandown Novice events last term before performing with great credit in pattern company thereafter. Both teams will be racing horses with some of the finest trainers in the land. There are still a handful of all-inclusive shares remaining (£2,095 per syndicate) and these will be available on a first come first served basis. Please contact Sam Hoskins (sam@hottotrotracing.com) for more details. 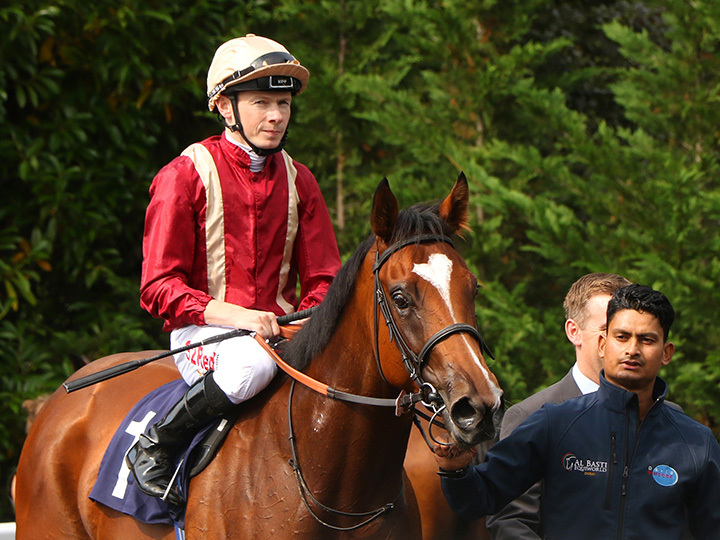 MIRABAI (2016 chesnut filly Poet’s Voice / Classical Flair) – Sir Mark Prescott, Newmarket. ITIZZIT (2016 chesnut filly Mukhadram / Whatizzit) – Hughie Morrison, East Ilsley. HAND ON MY HEART (2017 chesnut filly Iffraaj / Place In My Heart) – Clive Cox, Lambourn. DEPECHE TOI (2017 bay filly Camacho / Dew) – Jonny Portman, Lambourn. MORNING CATCH (2017 bay filly Dawn Approach / Brom Felinity) – Mark Johnston, Middleham. XTRA RESPECT (2017 bay filly Mukhadram / Xtrasensory) – David Elsworth, Newmarket. ANNECY (2016 bay filly Swiss Spirit / Atheera) – David Simcock, Newmarket. HEARTWARMING (2016 bay filly Showcasing / Place In My Heart) – Clive Cox, Lambourn. KURIOUS (2016 bay filly Kuroshio / Easy To Imagine) – Henry Candy, Kingston Warren. LOLLIPOP LADY (2016 bay filly Garswood / Nola’s Lolly) – Brian Meehan, Manton. 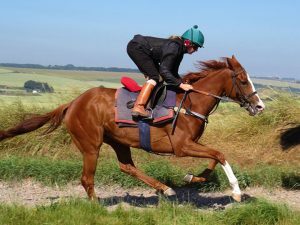 SHORTER SKIRT (2016 chesnut filly Showcasing / Heading North) – Eve Johnson-Houghton, Blewbury. DUE CARE (2017 bay filly Due Diligence / Dolly Colman) – Roger Charlton, Beckhampton. SENDACARD (2017 brown filly Showcasing / Valentine Glory) – Richard Fahey, Malton.